These bags continue cuts of wool fabric, right around 4"x 5" with some variation. 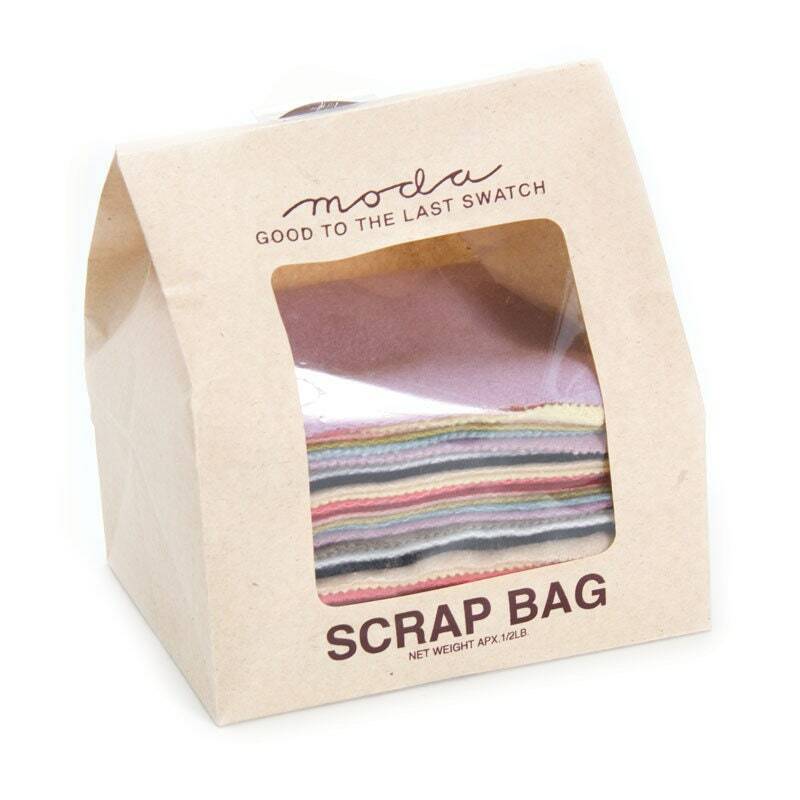 There are a variety of colors in every bag and each bag weighs over 1/2 pound (25-30 pieces in total). I believe Moda tries to color-coordinate the wool pieces in each bag so if you are looking for a specific range of hues (dark, light, primary colors, etc.) let me know and I will see if I can find one! 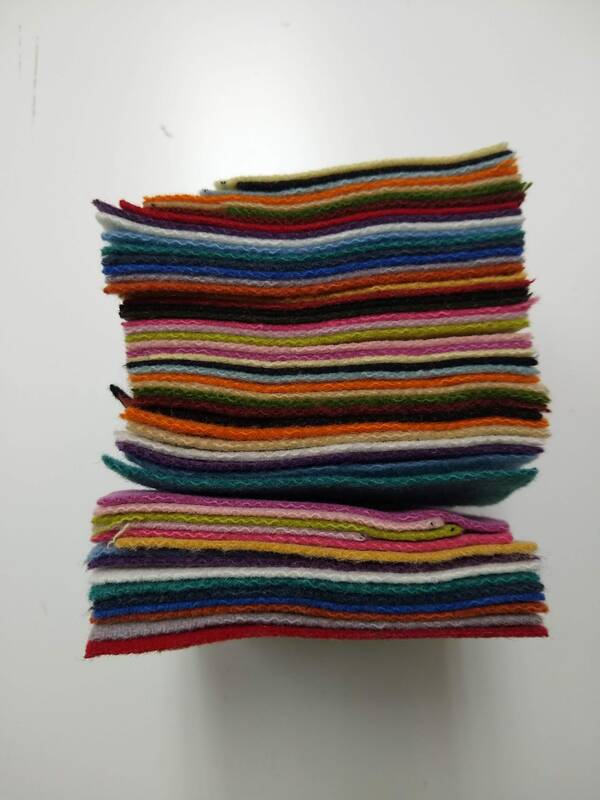 This is brand new fabric from the warehouse from gorgeous wool Moda fabrics. Perfect for your applique projects! These bags are so fun and a great value I am so excited to be offering them. Please let me know if you have any questions. The second picture is a sampling of what you will find in one scrap bag.